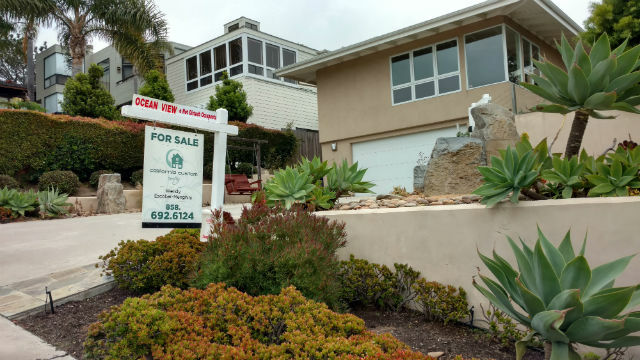 The San Diego housing market led the nation in price growth in January with a rise of 0.8 percent from December, according to the authoritative Case-Shiller index released Tuesday. The trend in San Diego appears to be accelerating. Prices dipped 0.3 percent in November then rose 0.2 percent in December. For the last 12 months, San Diego prices are up 7.4 percent, well above the national average of 6.2 percent but still below the double-digit increases in Las Vegas, Seattle and San Francisco. He said a low inventory of homes for sale and a low vacancy rate among owner-occupied housing were forcing prices up. Nationally there is only a 3.4-month supply of homes, and reports have shown an even tighter supply in San Diego. Zillow‘s Senior Economist Aaron Terrazas said that more inventory is slowly coming, but rising land, labor and materials costs are forcing builders to price their homes potentially beyond the reach of many. “Existing homeowners may be reluctant to list their home for sale, fearful of joining the ranks of frenzied buyers themselves and/or perhaps increasingly unwilling to let go of a home financed with a loan at an interest rate lower than that offered today,” he said.